You colour it in with the pens, then you wash it, then you colour it in again. This entry was posted on Wednesday, August 15th, 2012 at 8:08 am and is filed under Uncategorized. 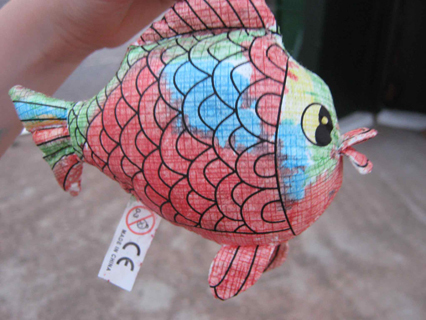 Tagged: art, rainbow fish, toy, washable. You can feed this entry. You can leave a response, or trackback from your own site.